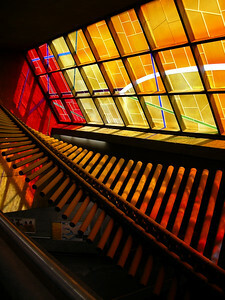 Sculpture and stained glass at Vendôme station, Montreal Metro. 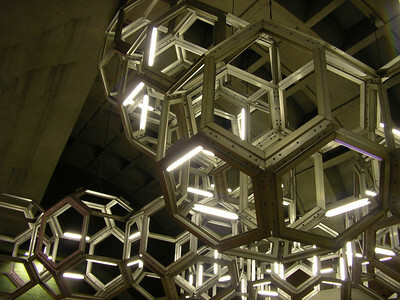 Sculpture at Namur Metro Station, Montreal. 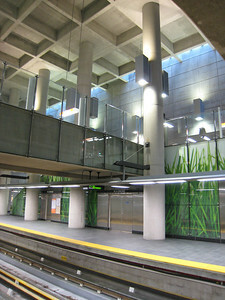 Digital art, concrete, and skylights at De la Concorde station, Montreal metro. 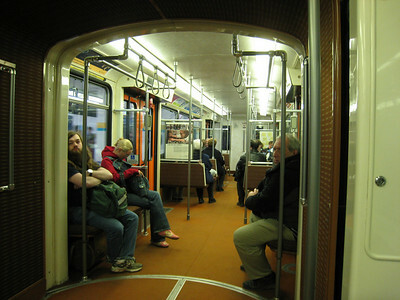 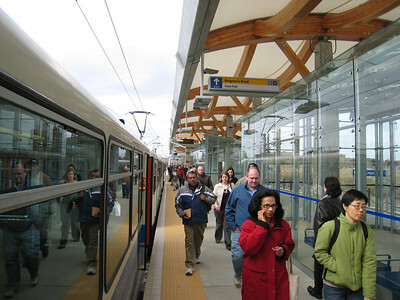 That 70s train, on the Edmonton LRT. 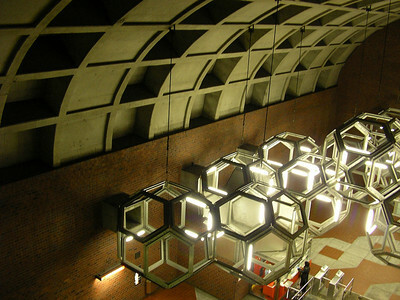 A fascinating display inside Washington Park MAX Station. 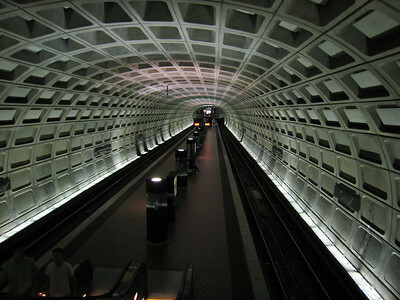 This station is the deepest underground subway station in the western hemisphere (only Moscow and Pyongyang have deeper stations). 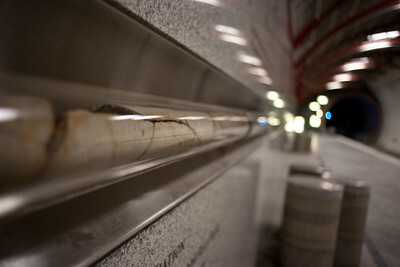 Stretched out along both platforms is a glass tube containing one of several core samples drilled while this station was being planned. 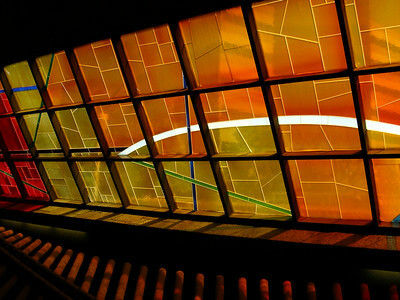 Interpretive displays on the wall give information on the age of the rock, its composition and origin. 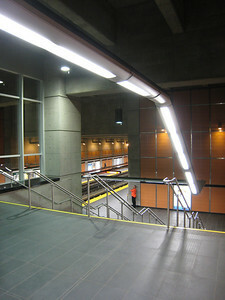 Washington Park MAX station in Portland, Oregon. 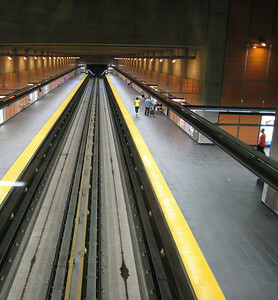 This is the deepest underground subway station in North America. 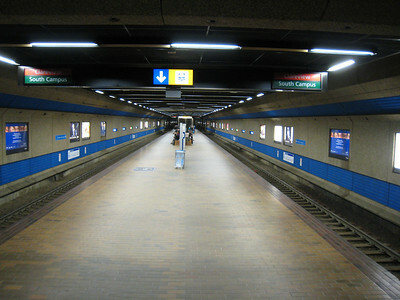 One of the few surviving examples of the Toronto Subway's original vitrolite tiles can be found in the blue strip near the ceiling of Queen station's platform. 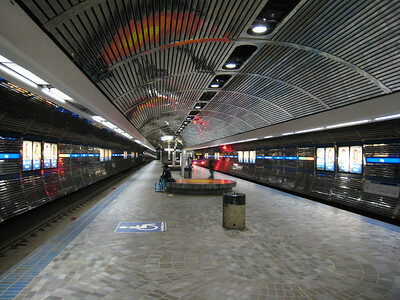 The tiles have an interesting, "glassy" reflective quality and are no longer manufactured. 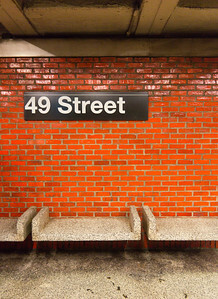 Notice also the unique 50s modernist font designed for the line's 1954 opening. 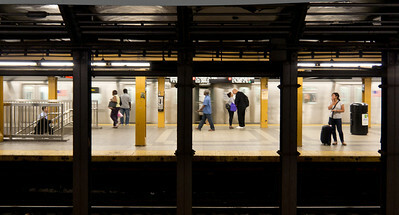 Some platforms on the New York Subway, including this one at Union Square, are so sharply curved that they require retractable platform extensions to bridge the gap between car and platform once the train stops in the station. 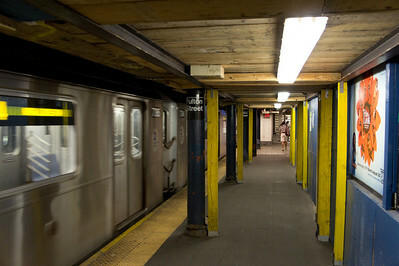 Constant state of repairs on the New York Subway. 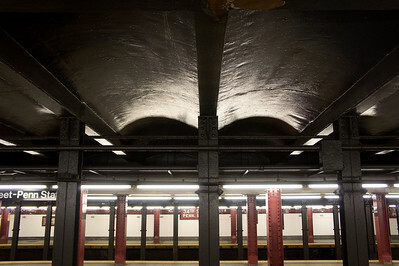 Detail of the roof and ironwork at the 34th Street - Penn Station subway station. 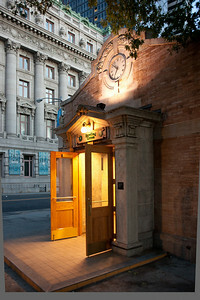 The original headhouse at Bowling Green station, New York. 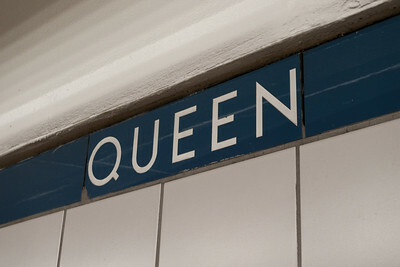 Modernist tile work at 59th Avenue, New York. 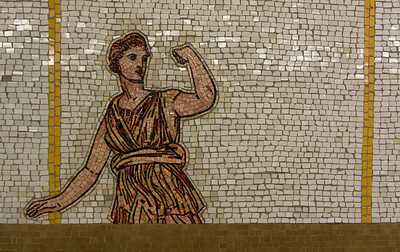 Tilework detail at Lincoln Centre station, New York. 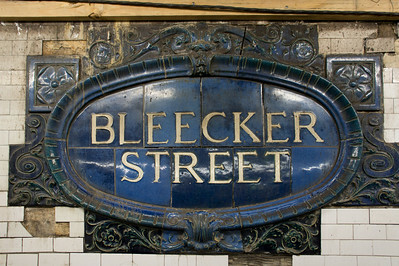 The New York subway system has a huge collection of beautiful vintage tilework marking the various stations in the system. 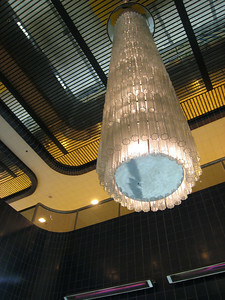 Unfortunately many, like this one, are desperately in need of repair. 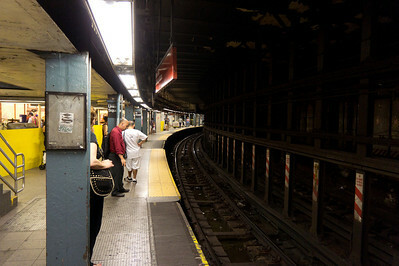 A "modernized" station in New York. 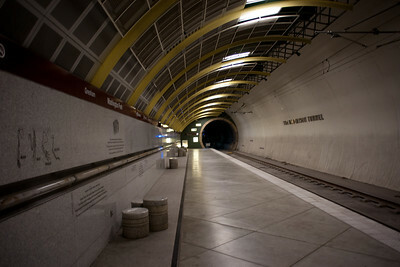 Pioneer Square Station on the Seattle Transit Tunnel. 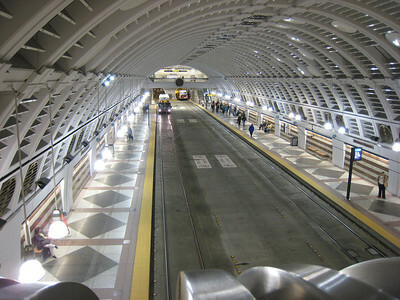 Note that the primary users of this tunnel are *buses* -- the light rail system only launched in 2009, over fifteen years after the tunnel opened. 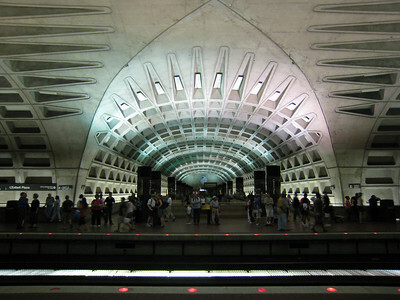 These are probably the nicest designed-for-bus stations I've ever seen. 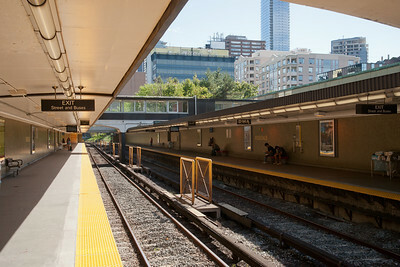 Rosedale Station in Toronto was a surface station on the original Union-Eglinton section of the Toronto subway, opened in 1954. 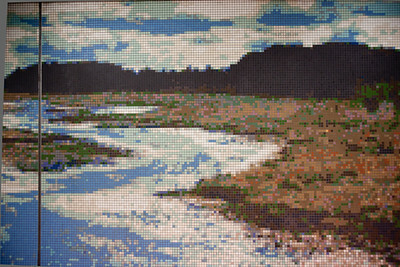 Pixellated public art at Sheppard-Yonge Station, Toronto. 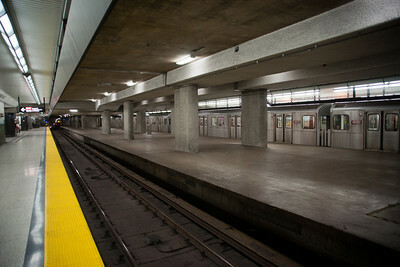 Roughed-in "Spanish solution" at Sheppard-Yonge Station, Toronto.